This fall, I stayed four months in Colorado to try and develop the market for Snipcart. In a previous post, I’ve outlined the story and lessons regarding getting into a new startup scene. In this post, I’ll focus on the pitches aspect of the whole experience. I nodded silently, gulping. The sympathetic bald guy handed me the mic and got off the stage after introducing me. When I first got up there, my hands were sweaty, and my breathing was short. Strong projector lights were illuminating the stage, almost blinding me. I could still discern the audience though: hundreds of developers, entrepreneurs, founders and investors who had all gathered up for this startup week’s New Tech Denver Pitch Night. For the first few minutes of my speech, it felt like I could run out of air at any given time. It didn’t end up being a grandiose pitch: I stumbled a little on a word here and there, forgot to mention a feature and spoke too fast. But I pulled through. All in all, I gave a decent presentation about our product, got a few relevant questions and spoke with interested parties afterward. And the next time I pitched, I got better. Same thing happened the time after that. Breaking news: practice makes perfect. Now matter how well you know your startup, its vision, its core features/benefits and its audience, you’ll still need to practice. To master your pitch, to make sure your ideas and words flow seamlessly and your message comes across effectively. So go ahead, do it: use a mirror, a friend, your team, your mom or your dog. The idea isn’t to convince them to buy your product or anything; it’s just to actually speak before you speak. To get you comfortable and confident, you know? You know you’re solving a problem (if you aren’t, well, you’ve got a problem). Hell, you might even be solving a few problems with your product. And that’s awesome, really. Now when you pitch, you’ve got to make sure to clearly identify the pain points you’re releasing for your customers. Formulate them in the simplest way possible, using words your audience is most likely to relate to. Below is a slide deck I used to pitch Snipcart; slides 2 and 3 illustrate in a simple way what we do, and what problem we solve for our clients. Now I’m not saying the whole slide deck is flawless, but still, it might give you a good idea where to start when you develop your visual aid. Now here’s where we could have improved. In the 5th slide, we list some technical features of our product. For a developer, these are awesome, easily understandable features. But still, they’re quite technical, and most of them aren’t illustrating what the concrete benefits are for the user. And while our core audience is mostly developers, my pitches’ audiences weren’t always composed of a majority of them. If I had focused more on the benefits, I would’ve avoided confusing my audience and answering more basic explanation questions during my Q&As. You can integrate Snipcart’s data to display sales, orders and customers information anywhere you want in your dashboards or CMS. You can easily customize the look and feel of your cart in order to create a fluid, optimized buying experience throughout your whole site. You can choose which payment gateway and shipping provider is the most advantageous for your business and hook Snipcart to it. You can pick your favorite content editor and programming language to build your website and hook Snipcart straight to it. I encourage you to read this post by Shawn Segundo on the HubSpot blog; it gives a quick but detailed account of the whole features versus benefits thing. Most of the times, the metaphor was enough for people to get the core difference. So, like we said, you’re solving a problem, and that in itself is awesome. Still, people want to know who you are, where you’re coming from. Sticking a compelling narrative to your startup’s product will act as an attention magnet. 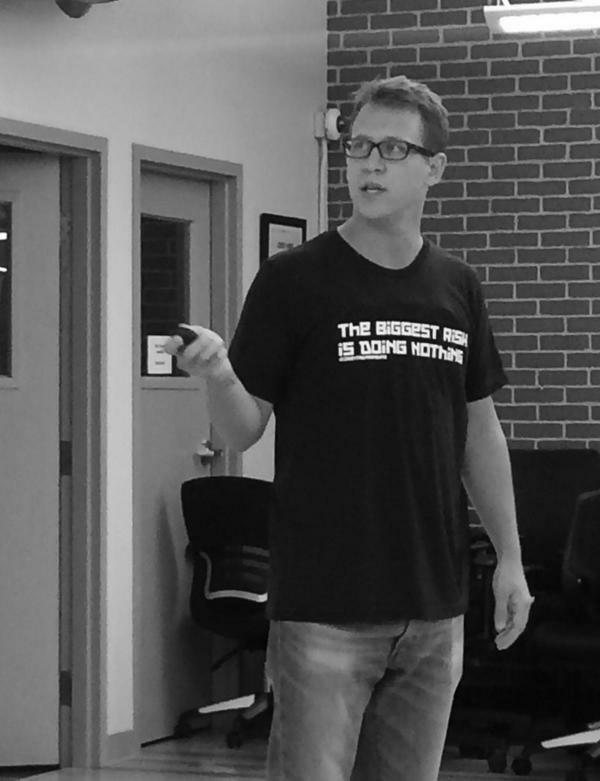 The 1 Million Cups organization, for instance, puts a strong emphasis on storytelling in their mandatory preparation material. They encourage speakers to weave a story in their presentation, knowing that stories are more easily remembered, and more susceptible of being repeated. Alex Turnbull, founder of Groove HQ, really hits the nail on the power of storytelling in this guest post. Basically, storytelling allows you to capture feelings, not just attention. And there’s science behind that too. Like you can find out in this Buffer blog post, we’re biologically wired to relate to stories: when someone tells us a story, every part of our brain fires up and we literally feel what’s going on in the story. For instance, when I told the story of how I snapped one of my back vertebrae, and got to the part where it actually snapped, people would wince, picturing the pain and the incident for themselves. Of course, that’s not the story I used during my presentation. Instead, I explained how and when Snipcart was brought to life, as well as the important milestones we achieved during the last year and a half. Sharing your successes and your failures as a team will make you a way more human and relatable presenter. 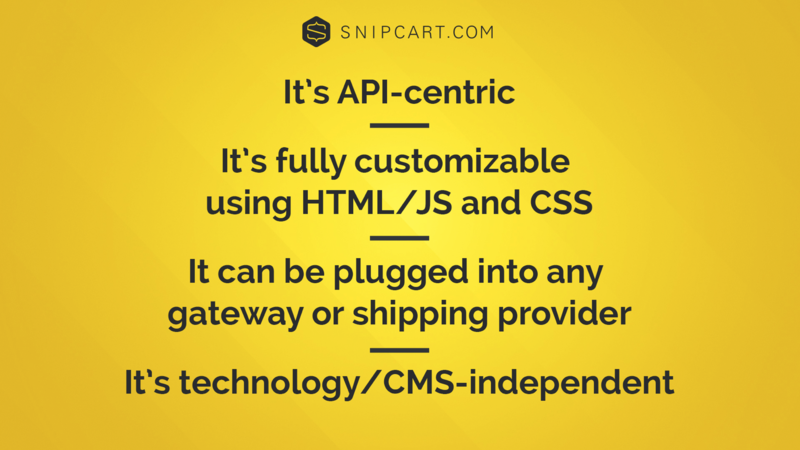 With Snipcart, we’ve been bootstrapping from the start. Spektrum Media, our mother dev shop, supports us as we grow towards our financial autonomy. We like it that way, because we don’t owe investors a thing: the only people we respond to are our customers. So when I pitched, I wasn’t looking for some investment opportunities. At first, I was trying to make some noise and some sales, that’s it. As time passed, I realized pitching wasn’t the best strategy to achieve the latter. However, I also realized that it was hell of a good strategy to stimulate feedback, which is pretty much the vital source of any early stage startup. So here’s one of the most important conclusions I’ve drawn about this part of the experience: pitches don’t have to convert into direct sales to be worth it. The visibility, feedback, suggestions, connections and leads you’ll earn thanks to your pitches will be well worth all your time on stage. Oh, and on a personal level, pitching in Colorado brought me a whole lot: more confidence, more credibility, more connections, and even more knowledge about our own startup. Overall, I’m super glad I did it, and I encourage all of you to jump on the occasion whenever you can.